In collaboration with Hasselblad and seven professional photographers, IKEA has made a selection of eight images from the Hasselblad Master Award catalogue. The Norrhassel collection will launch in all IKEA markets starting in August. Norrhassel Collection. 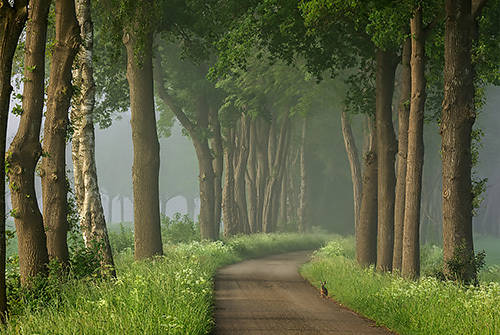 Image courtesy of Lars van de Goor. "Photography is a vital way to express yourself and showcase the world from your perspective," said Marcus Engman, head of design at IKEA. "In this day and age with social media, this form of expression and art has become even more popular, creating a whole new group of everyday photographers. With this collection of images, both IKEA and Hasselblad aim to inspire people to continue capturing the world while offering stunning photographs to those looking to make their home unique." "We want to share our love and passion of photography with the world and give a wider audience the chance to discover new art created by Hasselblad Photographers," added Bronius Rudnickas, marketing manager at Hasselblad. This collaboration is a way to inspire people by bringing world class photography into their every-day life. Each image was hand selected for its beauty, composition and aesthetics so that they add a level of emotion to your home." IKEA has set out on a journey to democratize art and make it available to everyone. In collaboration with Hasselblad and seven professional photographers, IKEA has explored the art of photography, resulting in a selection of pictures from the Hasselblad Master Award extensive catalogue. Art and photography are an important part of people's everyday life and it seems it appears that importance is growing. According to IKEA's life at home research, people are moving from valuing practical benefits to appreciating the emotional aspects of objects. This trend seems especially strong for Millennials who put higher value on emotional features, such as art and design, in order to create a home that is unique and aligns with their personality. "Photography is a vital way to express yourself and showcase the world from your perspective. In this day and age with social media, this form of expression and art has become even more popular, creating a whole new group of everyday photographers. With this collection of images, both IKEA and Hasselblad aim to inspire people to continue capturing the world while offering stunning photographs to those looking to make their home unique," says Marcus Engman, head of design at IKEA. The collection, in collaboration with Hasselblad one of the world's most iconic camera brands, will consist of eight exclusive pictures taken by photographers awarded for their long or even lifetime achievements in their profession. These images feature both nature and portraits and were taken by Dmitry Ageev, Lars van de Goor, Hans Strand, Bara Prasilova, Ali Rajabi, Tom D. Jones and Joachim Schmeisser. "We want to share our love and passion of photography with the world and give a wider audience the chance to discover new art created by Hasselblad Photographers. This collaboration is a way to inspire people by bringing world class photography into their every-day life. Each image was hand selected for its beauty, composition and aesthetics so that they add a level of emotion to your home." Says Bronius Rudnickas, marketing manager at Hasselblad. The collection called Norrhassel will launch in all IKEA markets starting in August.